Smart home is under the influence of the Internet of things. 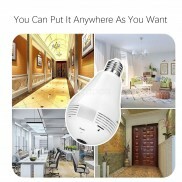 Smart home in the home through the Internet of things technology with the equipment (such as audio and video equipment, lighting, curtain control, air-conditioning control, security systems, digital cinema system area, network household appliance and etc.) together, to provide household appliances, lighting, curtain control, telephone remote control, indoor and outdoor remote control, anti-theft alarm, environmental monitoring, hvac control, infrared forward and programmable timing control and other functions and means.Compared with ordinary household, smart home not only has the traditional residential function, both architecture, network communication, information appliances, automation equipment, system, structure, service, management as one of the efficient, comfortable, safe, convenient, environmental protection living environment, to provide a full range of information interaction function, to help families keep smooth communication with external, optimize people's life style, help people to arrange time effectively, enhance the security of home life, even for a variety of energy cost savings.